Looking for some inner peace or perhaps a blissful break for a special occasion like a birthday or honeymoon? This could be the perfect treat for you. Having taken most of my annual leave for a summer holiday to Europe, my Christmas break was rather short so I needed to ensure I maximised on my R&R. This prompted a family holiday to Thornybush Game Lodge, an exquisite resort in the depths of the private Thornybush Game Reserve that presents the perfect combination of luxury and full immersion in the heart of the bush. After a game drive on the second morning, I booked a Kurhula Body Ritual at Amani Spa a to help me unwind. 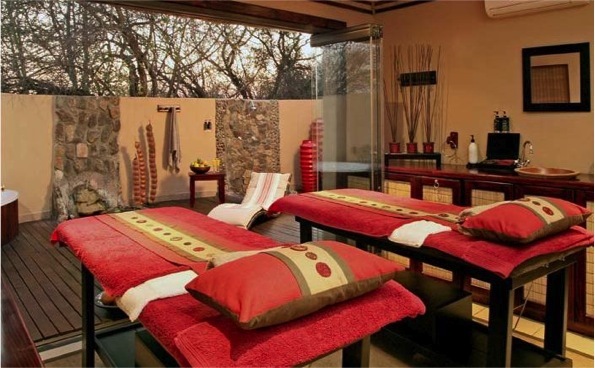 The small spa, located adjacent to the main lodge, offers two treatment rooms with en-suite bathrooms and private courtyards. I was eager to experience the Kurhula treatment, meaning ‘inner peace’, which includes a full body massage using organic coconut oil, as well as a mini facial. Each Amani massage begins with a welcome ritual, which includes a foot cleanse during which your therapist applies pressure to your feet and head to get you accustomed to her touch. The experience starts with massage movements at the soles of your feet, gradually moving up the back of your legs, and the combination of techniques used in this ritual makes the leg massage the perfect way to enter into a deep meditative trance. Having had a stressful final few weeks at work, I could feel the unusual amount of tension held in my shoulders and upper back as my therapist began to concentrate on these areas, as well as my arms and scalp. She also took time at the end of my appointment to show me some stretches that would assist in addressing the build-up of folic acids around these trouble spots. After turning over, the massage techniques used on the front of my body were peaceful and calming – a welcome relief from the intense manipulation of the muscles in my back and shoulders – sending me into a trance once more. After the massage is complete, you can look forward to a mini facial using beautiful professional skincare products from Babor, one of my long-time favourites. 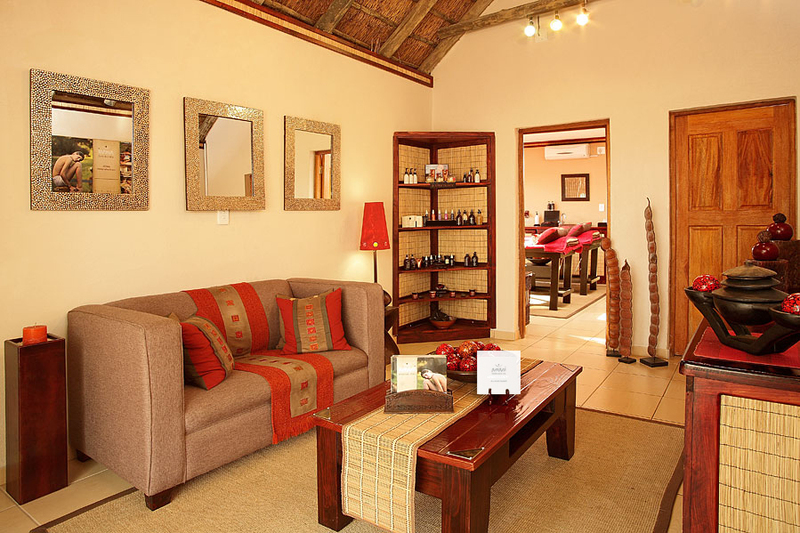 The facial includes a double cleanse, exfoliation and application of an intensive moisturiser and eye cream. As a final touch, your treatment concludes with the Amani farewell ritual, using the same pressure techniques applied to the head and feet as at the start of the welcome ritual, which brings the experience to a very harmonious close. The Result The Kurhula treatment formed a vital part of a very quick-fix holiday of which I was much in need. It is an ideal treatment for addressing all the day-to-day stresses of life (not to mention the kind experienced when planning a wedding) and ensuring that you maximise on what 90 minutes of relaxation can really achieve.